The owner of a car that was involved in a hit-and-run crash that killed a woman in Miami in March turned herself in to police Tuesday. Joy Terry Clayton Lee, accompanied by her attorney, turned herself in to a Miami Police substation Tuesday morning in connection with the March 22 crash that killed 52-year-old Ana Mares. Police said Clayton Lee, 37, will be charged with leaving the scene of an accident involving death. She didn't comment to reporters and police said she declined to speak with detectives before she was booked into jail. Records showed she was being held on $10,000 bond Tuesday afternoon. Joy Clayton surrenders to Miami Police in connection with the hit-and-run crash in March that killed Ana Mares. The 2010 Mazda G3 involved in the crash was turned in to police in May. Police said at the time that they didn't know whether Clayton Lee was behind the wheel at the time of the crash. The car showed damage to the right side of the car's hood and windshield. Authorities said the side mirror of the car was also hanging off. 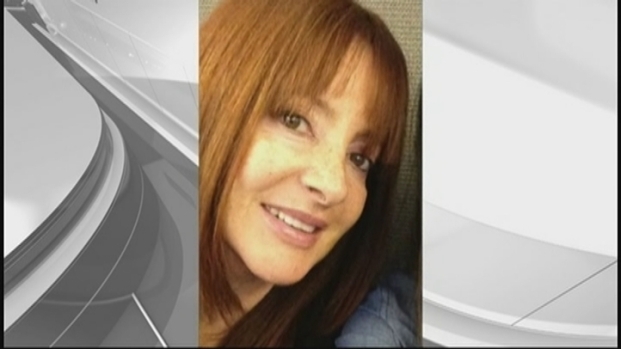 Miami Police said they have recovered the 2010 Mazda involved in a hit-and-run crash that killed Ana Mares, 52, in Brickell on March 22. Miami Police spokesman Sgt. Freddie Cruz said the car was turned over through the owner's attorney. Police said they are still investigating who was behind the wheel on the night of the crash. The victim's sister, Adriana Mares, spoke about the case. On Tuesday, police said they had enough evidence and would have served Clayton Lee (pictured below) with a warrant even if she hadn't turned herself in. "I can't say enough that this is going to be closure for the family. Unfortunately we can't bring the victim back but this is the only way we can help that family cope with their loss," Miami Police spokeswoman Kenia Reyes said. "It's not a matter of feeling better, it's a matter of, it needed to take place," said the victim's sister, Adriana Mares. Adriana Mares, the sister of Ana Mares, who was killed in a hit-and-run crash in Miami, is asking for help in finding the driver. Miami Police spokeswoman Kenia Reyes also comments. Police said Ana Mares was struck by the car as she was crossing Brickell Bay Drive near 8th Street. She was rushed to Jackson Memorial Hospital where she later died. Moments earlier, Mares had finished dinner with her sister and family members at a nearby sushi restaurant. She was walking to her car when she was struck from behind. Adriana Mares said her sister had been diagnosed with cancer at a young age but had pulled through and had been recently getting back into shape. "It just doesn't make sense, everything that she did for herself to get back to have a second chance, for that second chance to be taken away, in the way that it was taken away," Adriana Mares said in March. "We just can't come to terms with that." The family will always be devastated by the events of March 22, she said Tuesday. "We feel very empty without her, I don't think you can ever recover from that," she said.